If explosive, joyful percussion mixed with earthy electronics is your thing, get to know Clap! Clap! Hailing from Italy, his music makes a global impression with a rowdy mix of worldwide rhythms (some of which he actually records while out on the road). He’s been featured everywhere from Joseph Capriati’s “Fabric 80” mix to GTA V’s “Worldwide FM” station. Clap! Clap! really knows how to bring together disparate musical cultures, and makes a lot of connections that might not have ever existed without his touch. Ahead of us presenting Clap! Clap! 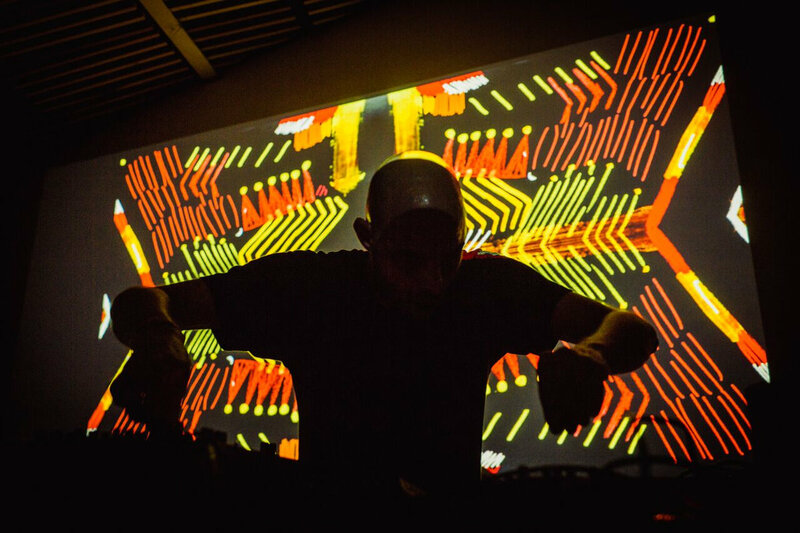 at this year’s MUTEK Festival in Montreal we thought we’d highlight a few of his best moments to get you prepared! If you’re new to Clap! Clap!, a good first listen is ‘Hold On’ from his first release “Gwidingwi Dema”. Before releasing this album he had been performing as a Jazz musician and “Gwidingwi Dema” marked a new, more percussive direction for the musician. We love this Boiler Room set he did in London. Clap! Clap! knows how to move when he’s performing! Clap! Clap! uses lots of West African music samples in his work, so it’s maybe not surprising that he can call Paul Simon a fan. Clap! Clap! has contributed to three tracks on Simon’s album “Stranger To Stranger”, and in this interview with NPR’s All Songs Considered, Simon calls Clap! Clap!’s album “Tayi Bebba” a masterpiece!